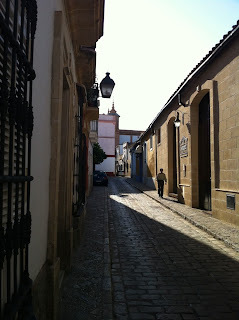 I knew a very small bit about Sherry wines before I came to Jerez. Now I know a little bit more. Before I get into a series of posts about specific Bodegas and other experiences, I figure that I'll share the things that I know, and also some of the outstanding questions that I still have. 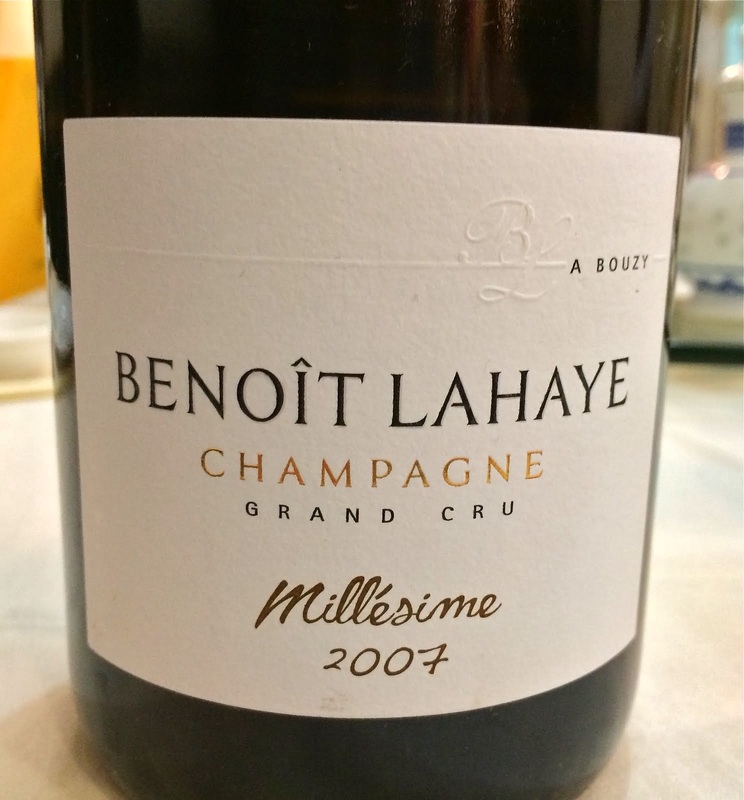 When I think of most of the wines that I love, be it Burgundy, Loire Valley wines, Beaujolais, and even Champagne, I think of those wines as representing a specific place. 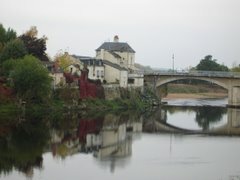 And I don't mean Burgundy as a place, for example. I mean a specific village and vineyard. For me, there is a difference between the wines of Chinon and Saumur-Champigny, for example. and more specifically, a difference between the wines of Les Picasses and Clos Guillot in Chinon. There is also a difference between Olga Raffault's Chinon Picasses and Pierre Breton's Chinon Picasses. And there is a difference between Olga Raffault's 1989 Chinon Picasses and 1990 Chinon Picasses. I can talk about those two wines in a finite way - they each have a certain character that is based on the place, the vintage, and the producer. There are better and worse bottles of 1989 Olga Raffault Chinon Picasses, and it tasted one way when it was young, and another now, but I can talk about the wine as a concrete thing. That is the way I understand wine - it is made in a specific place, from a certain grape(s), in a specific vintage, by a specific producer. 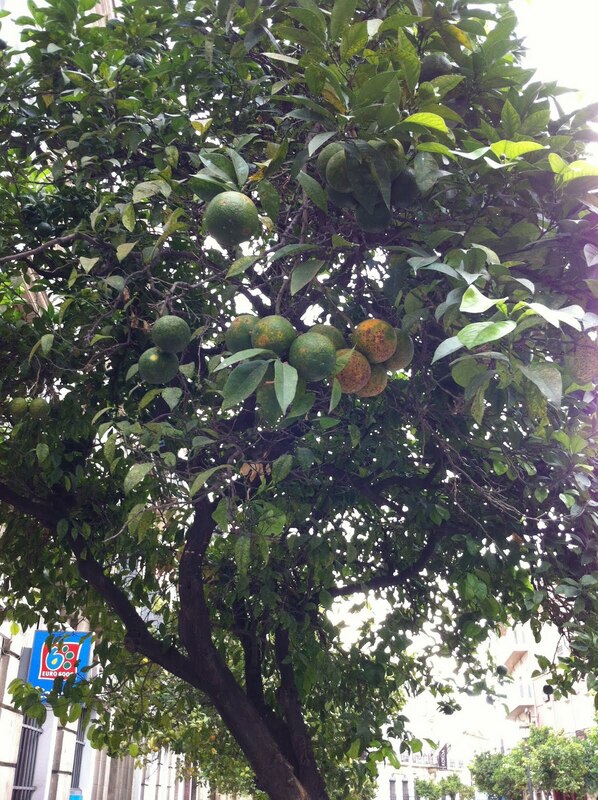 It has a life in the bottle, and I can enjoy it at various points in that life. You can too, and we can talk about the wine. I might say "I prefer a good bottle of the 1989 Raffault Picasses to a good bottle of the 1990, I think it is more expressive and harmonious." You might say "Well I prefer the 1990, the fruit is still present today and I think that makes the wine more complete." What I'm just beginning to understand is that all of this kind of thinking should be thrown out of the window when trying to understand Sherry wines. 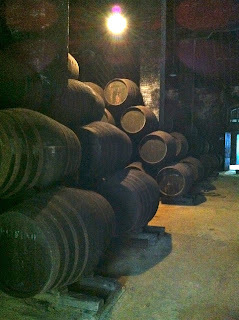 Right now, I am trying to understand Sherry by thinking about primarily the Bodega - the place where the wine ages in barrel, and the cellar master - the person in charge of selecting individual barrels for blending, bottling or continued aging. This feels quite foreign to me, and it is a whole new set of challenges. Did you know that Manzanilla and Fino wines are not defined by the location of the vineyards that produced the grapes? Grapes grown in a Jerez vineyard can be made into base wines, and if those wines are aged in a Bodega in the town of Sanlucar de Barremada, the resulting wine is Manzanilla. 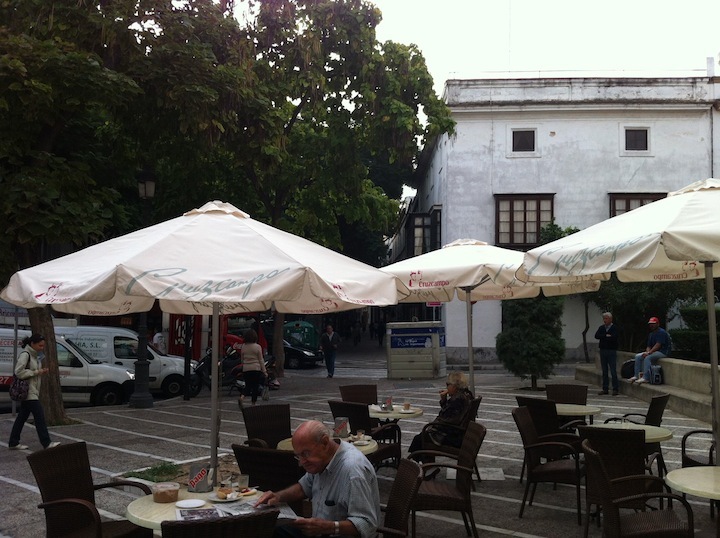 And wine made from the Miraflores vineyard in Sanlucar, if aged in a Bodega in Jerez, will create a Fino. It is the place that the wine ages that determines the primary classification of the resulting wine. 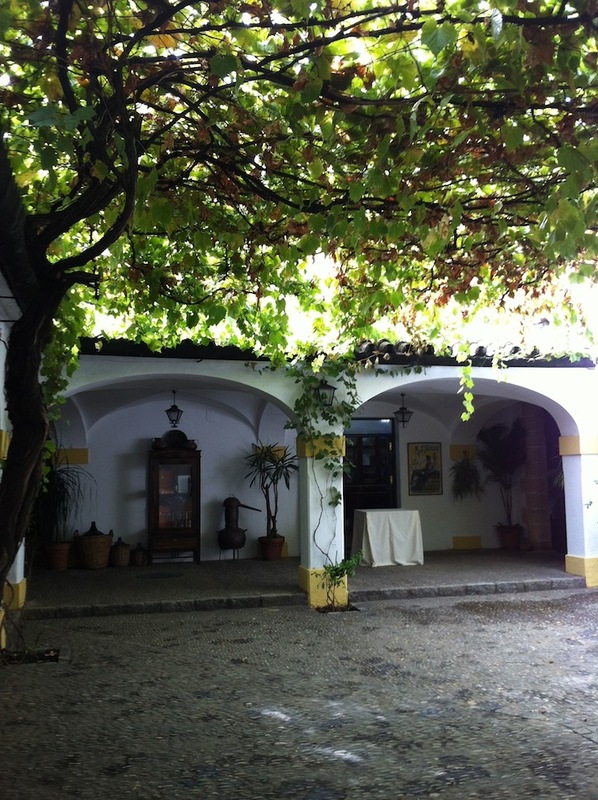 Courtyard in Bodegas Tradicion, Jerez. When you visit a Bodega, this begins to make a lot of sense. First of all, there are no underground cellars, no steps to walk down, no moldy walls and frigid caves. You walk into a Bodega and the barrels are there at ground level, stacked, quiet. Wind, humidity, temperature, and ventilation are major variables and their interaction with the barrels is what largely determines, over time, the character of the resulting wine. The wind is very fierce, and there are two winds, actually. 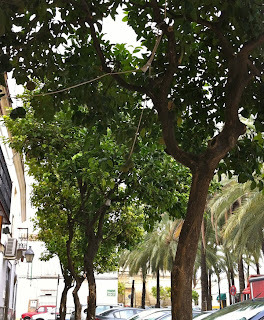 The wind off the ocean, called Poniente, is cool and salty, and is allowed to permeate the Bodegas. The other wind, called Levante, comes from the south, across the Sahara. It is slow and very hot, and Bodega windows are closed in that direction. 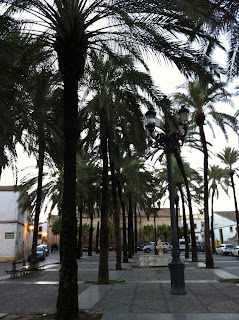 Sanlucar winds are stronger, as it is closer to the sea. The character of the flor (the veil of living yeast on top of the wine in barrel) in Sanlucar is different from Jerez flor. The flor in the barrels in one corner of the Valdespino Bodega is different from the flor in the middle of the Bodega. The ceilings are much lower in one small Barbadillo Bodega, and the Manzanilla Pasada barrels there are not as well ventilated as the barrels in the larger Bodega next door. The wines from these barrels are immediately and obviously different in taste, and the cellar master blends them carefully when creating the final Manzanilla Pasada that will be bottled in 2011. The recipe for the bottling will change in 2012, as the details of humidity, temperature, flor character, wind, and ventilation will change over the next 12 months. Not to mention the fact that when wine is bottled, the Solera is refreshed with wines from the 1st Criadera, and the resulting Solera barrels will have new details of character. Barrels at Bodega Misericordia, La Guita, Sanlucar. I'm not saying that grape material doesn't matter, it does. 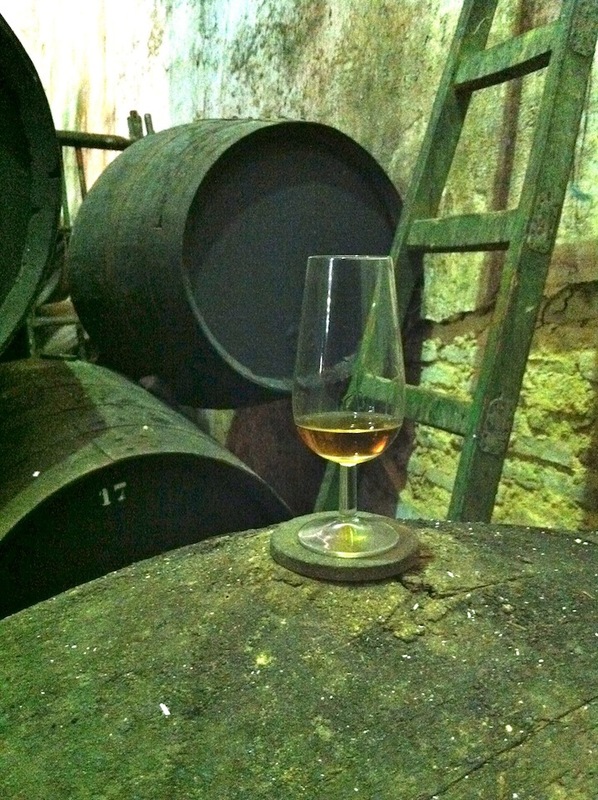 Excellent raw material is a big part of the recipe for making excellent Sherry. But in Chambolle-Musigny, for example, an undistinguished wine maker could most likely make very good wine if given great raw materials - a rot-free and ripe set of grapes from Les Amoureuses. In Jerez or Sanlucar, great raw materials are important, but it seems to me that 95% of the quality of Sherry is determined by things that happen long after the grapes are grown and the base wines made. 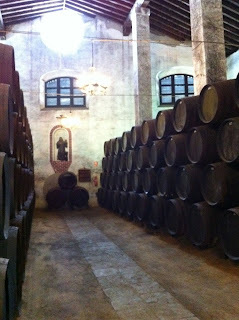 Bodegas Tradicion Solera barrels, Jerez. Sherry is made in Soleras. A Solera is a series of barrels of wine called Criaderas. Young wine is put into the last Criadera of the Solera to begin its journey towards the bottle. Imagine the last Criadera is the 6th, for example. The 6th Criadera contains the youngest wines. The oldest wines are in the row of barrels called the Solera, and it is from these barrels that wine is bottled. Solera barrels are not emptied - they are usually left at least a quarter full, and after bottling, wines from the 1st Criadera are added to the Solera barrels, wines from the 2nd Criadera are added to the barrels in the 1st Criadera, and so on. And not every barrel is used - certain barrels are special in their excellent (or poor) quality, and the cellar master determines the barrels that will be used in each case. Barrels at Bodegas Emilio Hidalgo, Jerez. After 7-9 years, flor cannot survive in Fino or Manzanilla barrels. If the cellar master saves the wines from some such barrels without immediately bottling them, the wine will continue to age, but without flor - the wine will no longer be protected from oxygen. These wines are on their way to becoming Amontillados. They can be bottled as young Amontillado, and have a certain character that is highly influenced by flor, or can be aged for many many years, and these older Amontillados show more oxidative character. 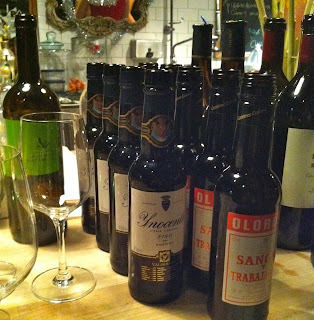 There are some Sherry wines that are never aged under flor, and these wines are called Olorosos - they are aged in contact with oxygen from the beginning. 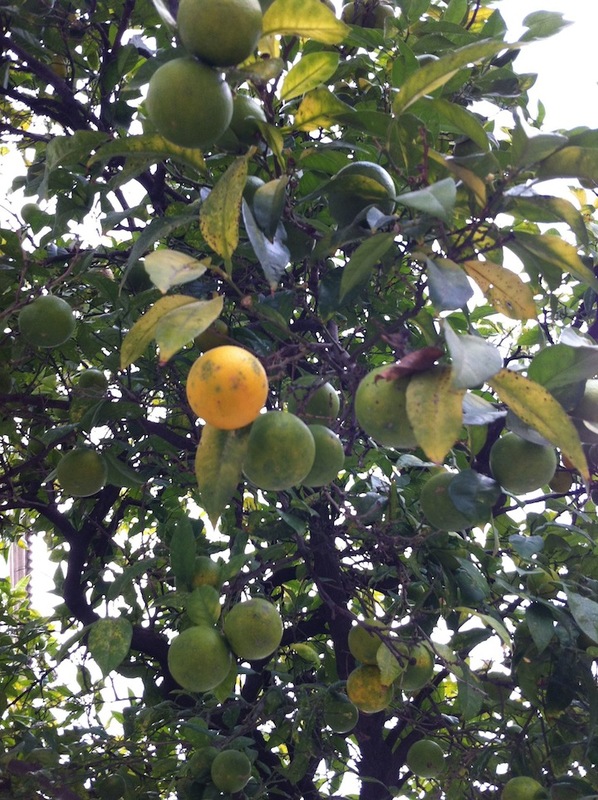 Young Olorosos smell and taste different from old Olorosos. Amontillados made from Manzanilla wines smell and taste different from Amontillados made from Fino. At every step, the decisions of the cellar master define the wine - which barrels are best for Fino, which are best for Amontillado? 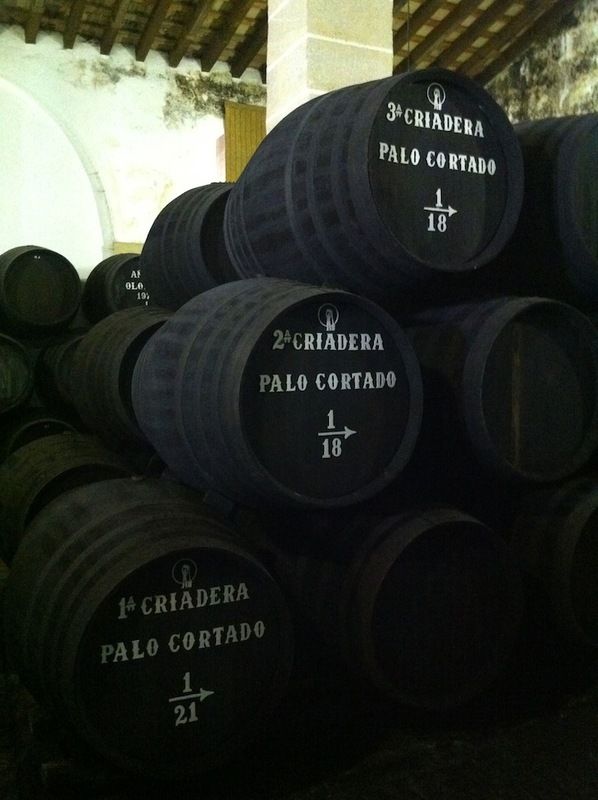 Then there is Palo Cortado, a kind of Sherry that no one seems to be able to concretely define - more on that later. This is a bit jumbled, I know, but I am o'erbrimming with information right now and I want to share with you while the "iron is hot," if you will. Maybe this is silly, but I didn't look closely at a map before I got here. This map is courtesy of The Lonely Planet. I didn't realize that Jerez is so far south. It cannot be more than 70 or 80 miles from Morocco. The climate is more Mediterranean or even North African than, say Parisian, or most any city in Europe. It is sub-tropical here. 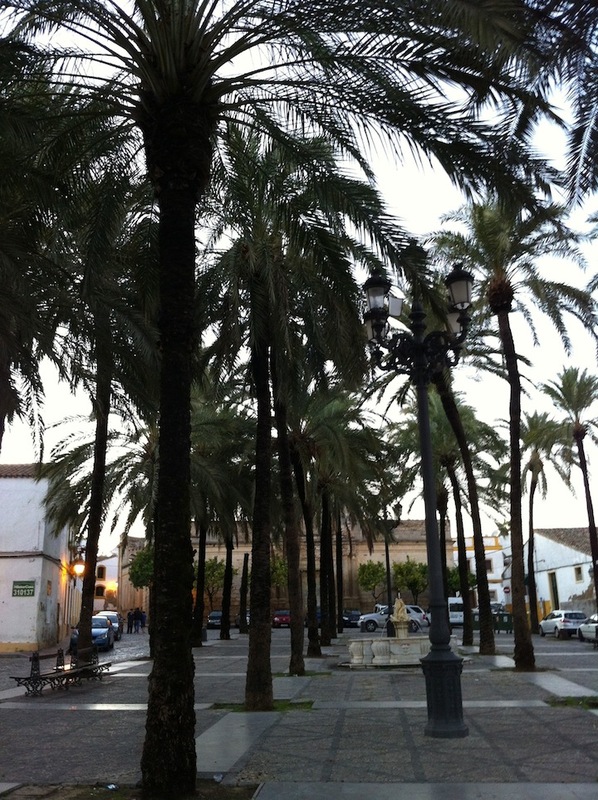 There are palm trees everywhere. In the plazas and lining the streets. On top of small buildings. There are also orange trees lining many streets and plazas. They are the small and bitter Seville Oranges, prized for use in marmalade. 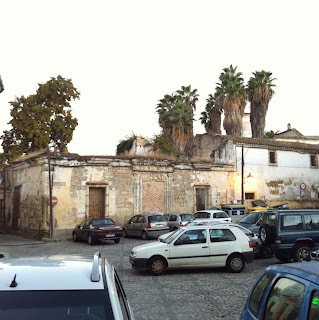 In some ways Jerez looks like some other small cities I've been to in Europe, but overall it reminds me much more of cities in Latin America, like San Jose in Costa Rica, or Grenada in Nicaragua. 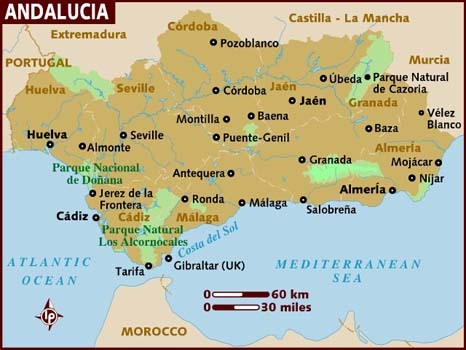 Makes sense, as this part of Spain was the port to the new world, and its architecture was exported along with other cultural elements. The streets tend to be narrow, lined with one or two story buildings. Not much sidewalk to speak of. Driving is challenging, to say the least. 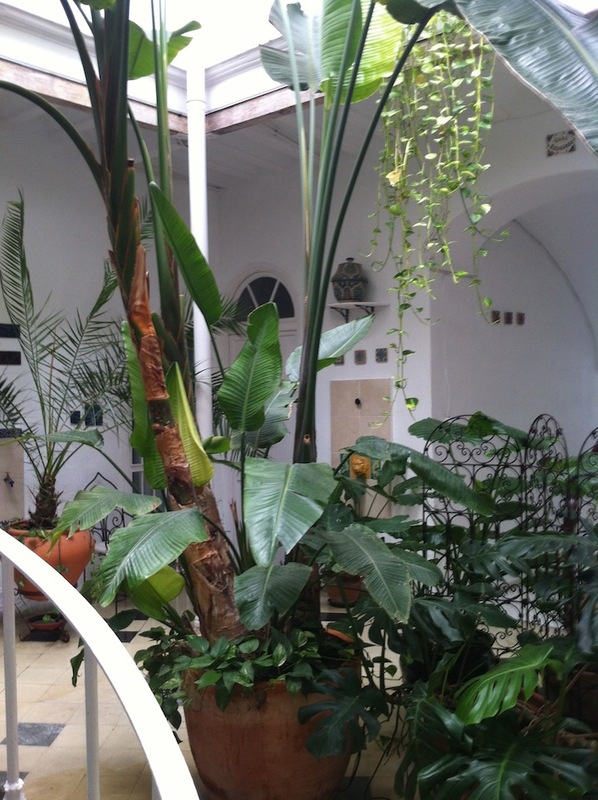 The buildings have interior courtyards with gardens or patios. 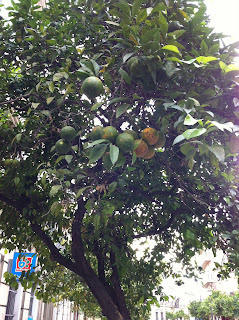 The one above is in our little guest house. There is no grid, and the streets wind in what to me seems like a maze. 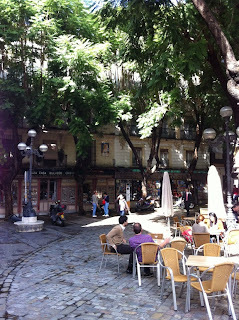 They turn corners and open up to lovely little cafes with people of all ages sitting and drinking coffee or beer at all hours. Sometimes you can even hear Flamenco music drifting from an open window, and this is when it gets to be comically perfect. 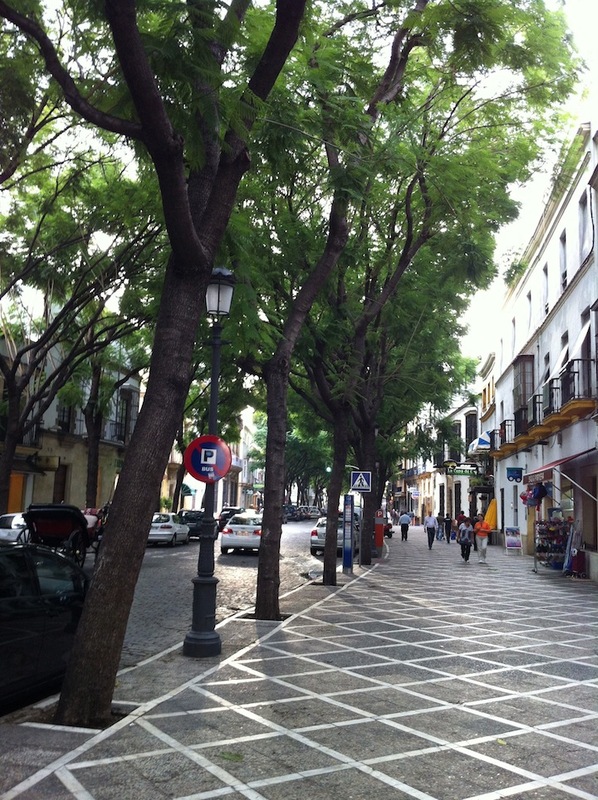 The narrow streets can eventually run into larger boulevards lined with beautiful old trees. Walking on one of these boulevards in the late afternoon sun, it just feels good. It's not all storybook and romance though. 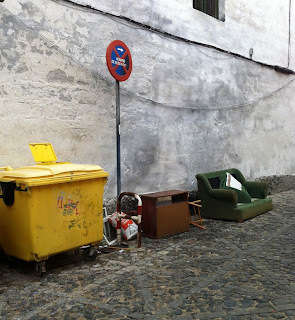 Jerez is a real working city with some grit to it, and the normal sad things you'll find in most any city. Stray dogs, beggars, garbage on the street. But it is beautiful, and hospitable, and to this visitor, fascinating. 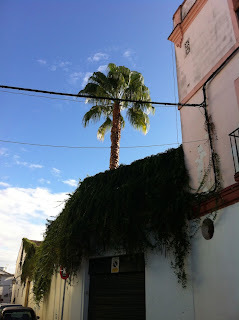 And it is Jerez, after all, so signs of Sherry are everywhere. 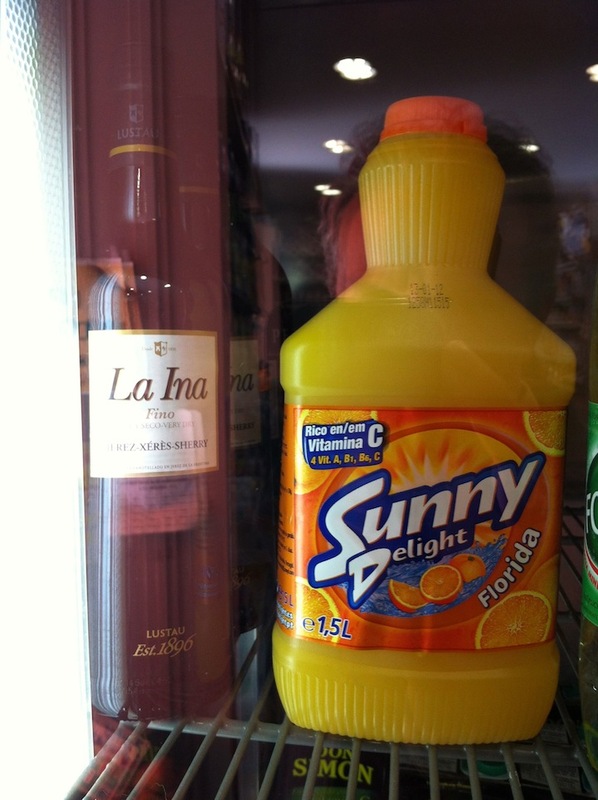 In the smallest grocery stores (what we in NYC would call bodegas) you will see bottles of Sherry in the cooler next to soft drinks. I think this sign would be a welcome addition in Times Square. 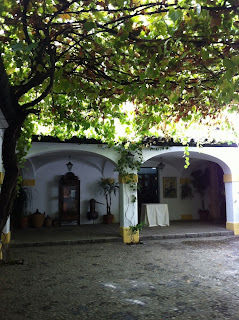 On vacation, and visiting several Sherry bodegas with my friend Peter. So far the food and wine seem alright. 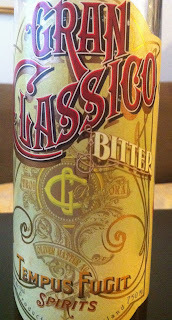 Gran Classico - Where Have You Been All of My Life? 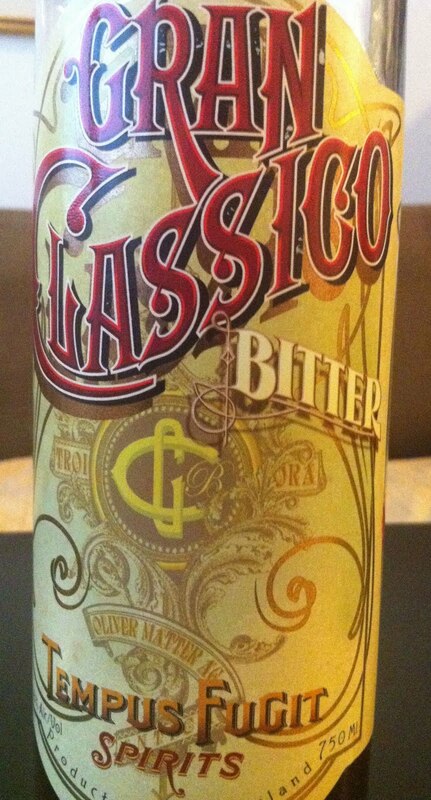 Have you heard of Gran Classico? If you are a cocktail devotee you probably have. I hadn't heard of until recently, and it is a new love. Gran Classico is a bitter liqueur in the same family as Campari and it can be used exactly as Campari is used, for example the Negroni cocktail, the spritz, or simply mixed with soda water on ice. Gran Classico is actually made in Switzerland, as the formula was purchased in 1925 by a Swiss family of distillers. Although both are bitter (and also quite sweet) liqueurs, there are a few things that differentiate Gran Classico from Campari, and make it highly worth your effort to find and taste. For one, Gran Classico is a more complex drink, both on the nose and on the palate. It is made in smaller batches using at least 25 herbs, barks, and roots (including wormwood! ), and no red coloring is added. Gran Classico is a bit higher in alcohol at 28% to Campari's 24%. All in all, it's just better as an ingredient or drink than Campari. Just look at that natural amber color. Enticing, no? I'm not going to sit here and tell you that a Negroni made with Campari is no good, because that would be absurd. But a Negroni made with Gran Classico is better, in my opinion. And this when I make the drink, not some bearded professional wearing the vest from a 3-piece suit. Imagine how good it would be if such a professional made it. 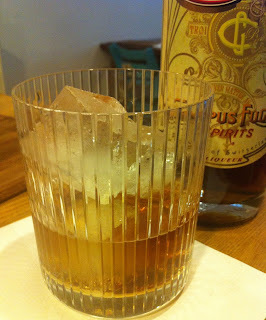 The way in which the marginal benefit of Gran Classico can most clearly be seen, from my few explorations so far, is in the simplest drink, just mixing Gran Classico with soda water on ice. The complexity of Gran Classico really shines through. I won't be buying Campari again. My Negroni: equal parts Plymouth gin, Dolin sweet Vermouth, and Gran Classico, but a little extra gin should be thrown in. 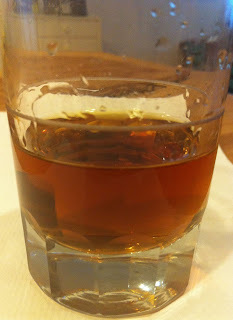 And Peter Liem suggests adding a few dashes of Regan's Orange bitters too, which I must say is delicious. Gran Classico is imported by the California company Tempus Fugit, and is well worth a special search. Although I am no longer the least bit surprised, I continue to take great pleasure in expanding my experiences with the versatility of Sherry at the table. 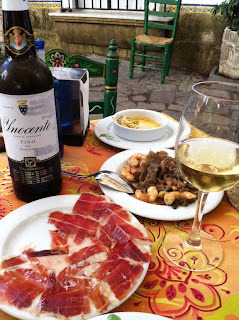 Fino style wines obviously pair beautifully with seafood, but this is only the tip of the iceberg. There are many styles of Sherry wine, and some can handle spicy food (Amontillado with Szechuan food is unknown as the best wine and food pairing in the world, I think), they all tend to work beautifully with savory food, they can pair well with "difficult" vegetables such as asparagus and artichokes, and some sherries work beautifully with richer meats such as beef or lamb. 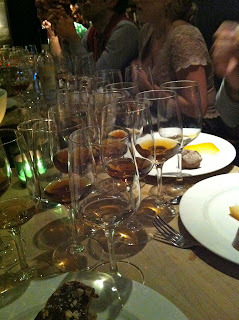 Recently I attended a very special dinner that offered new opportunities to experience Sherry at the dinner table. 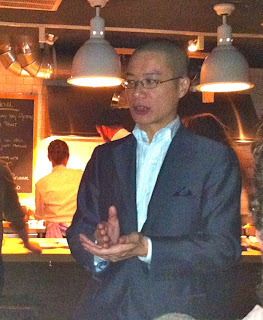 Celebrated wine critic Peter Liem selected a group of Sherries and April Bloomfield, celebrated chef at The Spotted Pig (among other places), created a menu to pair with the wines. The event was organized by those two folks and also by Rosemary Gray and Clara Rzeszewski, the Wine Director at Bloomfield's restaurants, and there should be more of these. 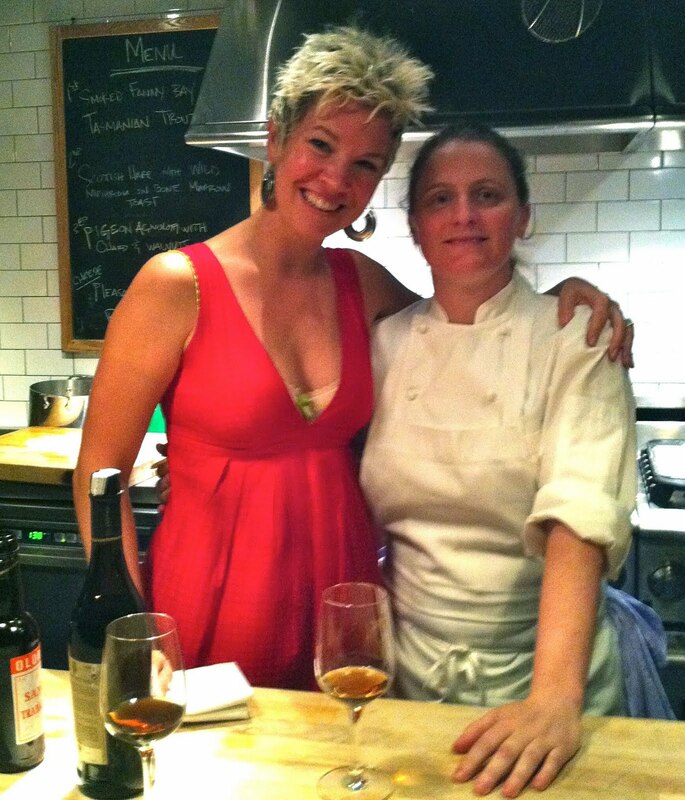 Put top wine people and top chefs at top restaurants together and magical things can happen. Wine Director Clara Rzeszewski and Chef April Bloomfield. Bloomfield herself actually cooked our food. I was pretty busy drinking and eating and enjoying the company of my neighbors, so I don't have notes to share with you, but I can share some things that were meaningful to me. 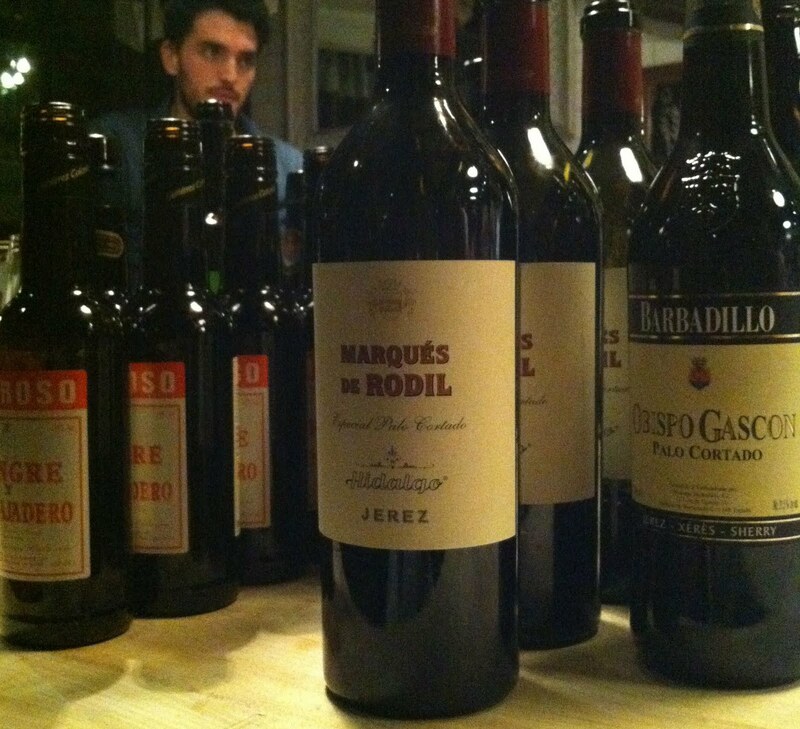 Peter selected two interesting Fino wines to begin the dinner, Valdespino Inocente and La Bota de Manzanilla Nº 22. Inocente is unusual in that the wines in the blend are much older than is typically found in Fino, averaging something like 8 years. The wine is intense and rich and has a substantial feeling in the mouth, while retaining the brisk salty freshness that I think of as the hallmark of a good Fino. La Bota de Manzanilla Nº 22 comes from a great solera at Bodega Sánchez Ayala in Sanlúcar de Barrameda, and is unusual in that it is barely filtered. The wine is deeply golden and bursts with aromas and flavors that reflect the fact that the wine is essentially whole - most Sherry is rather viciously filtered. Bloomfield chose to pair these wines with two seafood dishes, a smoked oyster topped with some sort of cream sauce and a perfect piece of Tasmanian Trout, adorned only with it's own crisp skin. Seafood and Fino Sherry is not a new idea, but these are richer styles of Fino wine and they played very well with the dishes. I thought the savory depth of the Valdespino melded with the Trout in a particularly delightful way. Peter Liem discussing the wines he selected. Bloomfield cooks, behind him. Peter selected two Oloroso Sherries for our second flight. In case you, like me, haven't memorized the rules of Sherry classification, Oloroso wines are distinguished from other Sherries in that they are never aged under flor, the layer of yeast under which Finos spend their lives, and Amontillados and Palo Cortados begin their lives. We drank Gutiérrez Colosía Oloroso "Sangre y Trabajadero" and Lustau Almacenista Oloroso "Pata de Gallina." These wines contrast interestingly in that Sangre y Trabajadero is an Oloroso made from rather young wines, averaging perhaps 10 years old. That's young for an Oloroso, and its youth was accented when drinking it next to the very old wines in the Lustau Sherry (which comes, I think, from a solera at Bodegas Juan Garcia Jarana). We drank these wines with perhaps the single most savory dish I have eaten all year, Scottish Hare with Wild Mushrooms on Bone Marrow Toast. Both wines were great with the dish, the youthful freshness and lovely finesse of the Colosía wine was a nice compliment to the dish. 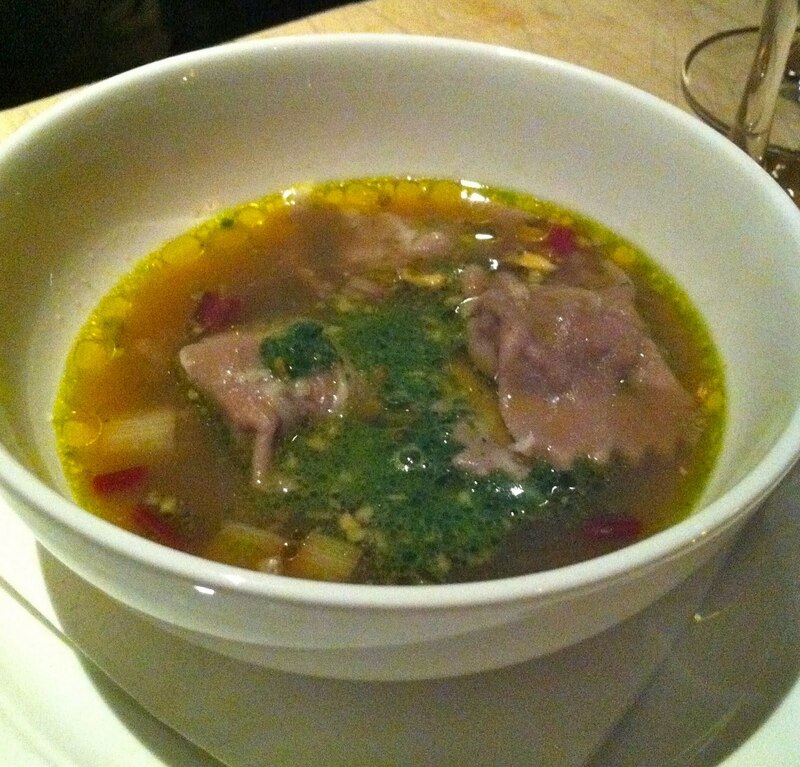 And the intensity and complexity of the Jarana Oloroso amplified the savory experience. Peter chose two contrasting Palo Cortados for our third flight, Emilio Hidalgo Palo Cortado "Marqués de Rodil" and Barbadillo Palo Cortado "Obispo Gascon." Emilio Hidalgo's wines are quite difficult to find in retail shoppes, and this is a shame because everything I've had is absolutely excellent. Bloomfield paired these wines with Pigeon Agnolotti with Chard & Walnuts, a bowl of pigeon ravioli (not really ravioli, but think ravioli) in broth with shredded Swiss chard and bits of walnuts. The dish and the pairings were very good, but this was a bit overshadowed for me by the fact that I fell in love with Hidalgo's Marqués de Rodil, and found it hard to focus on anything else. The wine is barely a Palo Cortado, you can still smell, taste, and feel the flor. It is fresh and vibrant and gentle, its aromas and flavors intense and complex the way you would expect from a Palo Cortado, but still shot through with a brisk energy. As a public service to you, I will tell you that this awesome wine is currently sitting on the shelf at Chambers Street Wines, and if you like Sherry, or even think you might like Sherry, you should buy some. Peter selected two absurd Amontillados for our final flight, both made of very old wines, Hidalgo-La Gitana Amontillado "Napoleon" VORS and Bodegas Tradición Amontillado VORS. 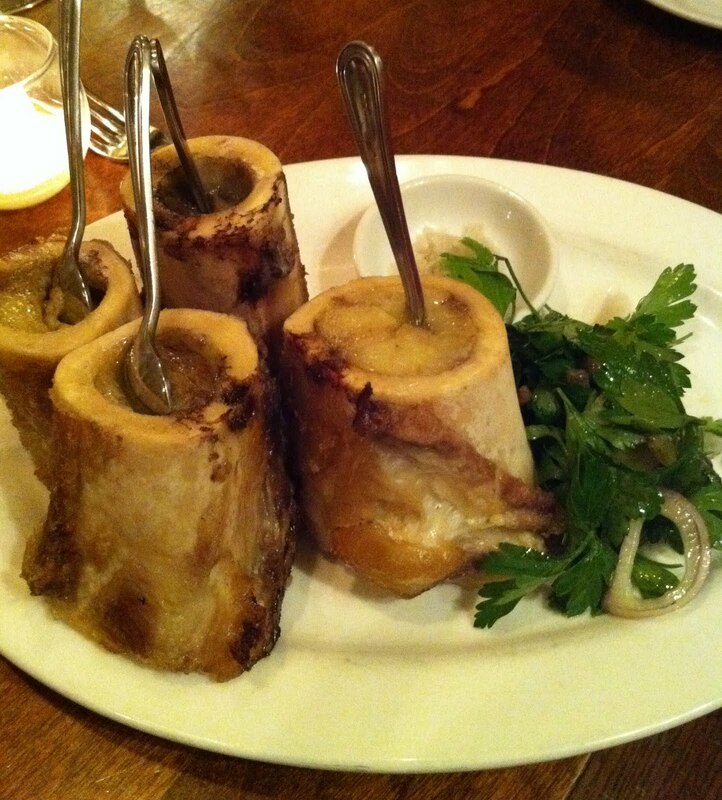 Bloomfield paired these in a classic style, with a crumbly Cheddar and another cheese called Podda Classico. The wines were both wonderful, richly complex and pungent, and each would be worthy of an entire dinner's worth of enjoyment and contemplation. It goes without saying that they were great with the cheeses. Every one of those glasses was mine. I treated them as such, anyway. Thinking about this dinner afterwards, I realize that we are very lucky to be discovering the beauty and versatility of Sherry at this time. The wines are inexpensive! We can drink the DRC of Sherry for as little as $20 for a 375 ml bottle. 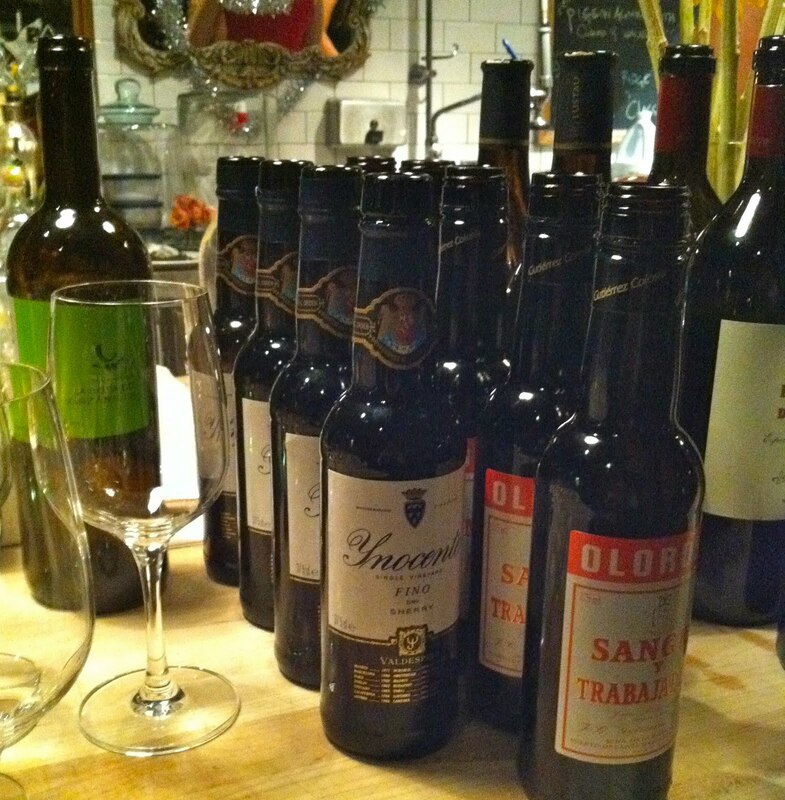 $80 buys several different wines that are among the finest versions of Sherry wine. $40 will buy a bottle of that beautiful Hidalgo Marqués de Rodil. There was a time when Burgundy was moderately priced in the US. Now is that time for Sherry. And with all the respect in the world for the beloved and great wines of Burgundy, Sherry is far more versatile at the dinner table. Not just tapas either, as this dinner emphasized. Well selected Sherry can make fine dining even finer. I drank a white wine by Domaine des Comtes Lafon the other night the first time I have ever done so. Comtes Lafon is one of the iconic domaines in Burgundy. Maybe you don't know this about me, but I really like Burgundy wine. Why have I never tried a Comtes Lafon white, until now? For one, the wines command very high prices, particularly wines from the top vineyards in Meursault and of course, the Montrachet (one of those wines you'll never see on a shelf - perhaps in a restaurant or at auction, and I imagine we are into 4-digit price territory). 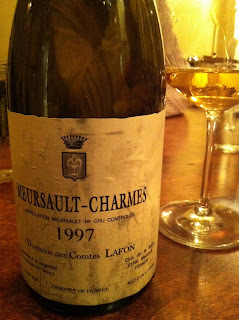 If I really wanted to drink a Lafon Meursault nowadays, I'd have to buy a bottle at auction because I've been told that, like many of Burgundy's great wines, these require many years of cellaring before they reveal all that they have to offer. But buying an old vintage of Lafon at auction is a very expensive risk. You never know whether or not the bottle was handled properly, and for something from the '90s you will pay hundreds of dollars. If I were to buy a bottle from roughly 1996 - 2002 there is the pre-mox risk too, although supposedly Lafon did a better job of avoiding pre-mox problems that did most other white Burgundy producers. So, in other words, it's not an easy thing, to drink a mature bottle of Comtes Lafon Meursault. The other night, however, one of my Burgundy Wine Club friends was in town from Rhode Island and we had dinner with Peter Liem, also in the BWC. We drank several old Burgundy wines that night, and one of them came from Peter's cellar, a 1997 Comtes Lafon Meursault Charmes. This is a wine that I bet would not generate high expectations from many experienced wine people. 1997 was not a great year in Burgundy, many of the wines are quite ripe and without the structure and acidity necessary for balance. 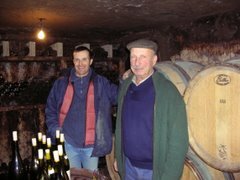 There are producers who made great wines in 1997, though, and Peter says that Lafon's whites are among the very best Burgundy wines from 1997, and that in fact 1997 is his favorite vintage of the '90s for Lafon. I've heard talk about how Lafon's wines are very oaky. I've heard that they aren't worth the money. You hear all sorts of things about wine and this is another example of why we really have to learn by drinking ourselves. This 1997 Lafon was finer than any white Burgundy I have ever drunk, and it is one of the very best bottles of wine that I've ever had. It produced an emotional response in me, it was startling and mesmerizing and absolutely beautiful. I didn't know that wine can do what this wine did. We drank this wine at Prune with, among other delicious things, the marrow bones. Perfect. Perfect. Perfect. I think of hazelnut flavors and an oily texture when I think of Meursault. This wine was different. The nose was limestone and chalk and minty ripe Chardonnay fruit, and that's simplifying it for the purpose of using words. It was the definition of refinement and grace, so focused, it had such amazing complexity and depth, such resonance, such clear articulation of its aromas and flavors, such a delicate but firm texture. It grew over 90 minutes or so and in the end the finish was this tactile thing of mineral glory that lingered on and on. Completely absurd wine, profound. Peter said that this particular bottle was as good as white Burgundy gets. That's saying something. You drink a wine like this and understand why people chase expensive Burgundy, looking to relive this sort of experience. I feel the pull today, too. But it is mitigated somewhat by the fact that my Burgundy Wine Club purchased a bottle of 2007 Lafon Meursault Charmes last year. It cost us $170. Yup, $170. But there are 8 of us, and wines like this are precisely the reason that we started this club. With any luck, in 10 years I will have dinner with Comtes Lafon again and have an equally inspiring experience. Here is Bill Nanson's profile of Comtes Lafon in Burgundy Report, if you want details about the estate and wines.